Routes covered almost all the major landmarks and buses were very frequent! Are you in London but you find yourself overwhelmed with the endless amount of things that you can do? Then go on a sightseeing tour through the Big Bus Company’s Hop-on, Hop-off bus system. The company offers three different packages: Classic, Premium, and Deluxe, all designed to be flexible to your schedule and at the pace you want. These tickets grant you access to 3 routes that differ in terms of the attractions that you’ll see. The Big Buses have open tops so you’ll get unobstructed views of the many attractions you’ll visit. You can even hop on and hop off these buses as much as you like for the duration that your package allows. 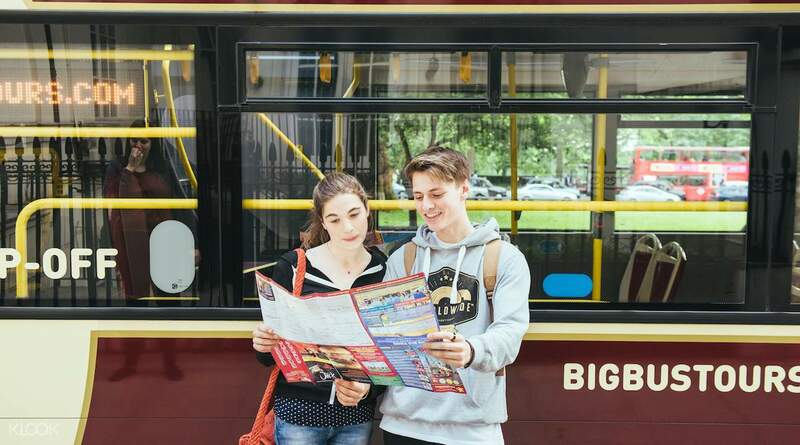 You’ll be provided with a map of the city, the trails for each route as well as detailed schedules for each of them; you can even use these to help you create your own sightseeing itinerary! You also have opportunity to go on a relaxing river cruise from Westminster to Greenwich; you can take scenic photos of the city as you move along the river. There’s even a night tour that you can take where you can hop on a bus and watch the city burst into life with an array of colorful nightlights; you’ll also follow the trail of British Royalty and Politics through the night tour because you’ll pass by royal and political addresses. No matter which package and route you take, you’ll get a satisfying taste of London. Make use of the detailed map and schedules provided by Big Bus to help you build your itinerary! Hop on and off the buses and transfer routes as much as you want for as long as your package allows! Worth every penny. Very comfortable, easy to redeem. Very effective and efficient. 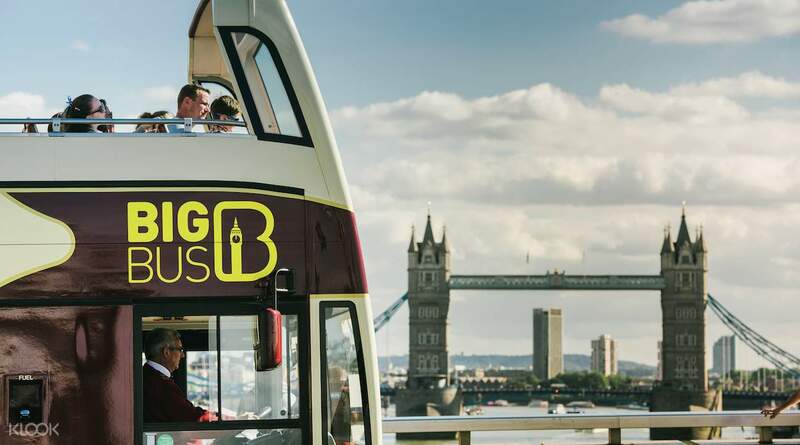 You can visit all the must see places in London bu riding this big bus. Will surely try again if there is a chance. Will surely recommend to friends and family. Great time and amazing experience. Worth every penny. Very comfortable, easy to redeem. Very effective and efficient. 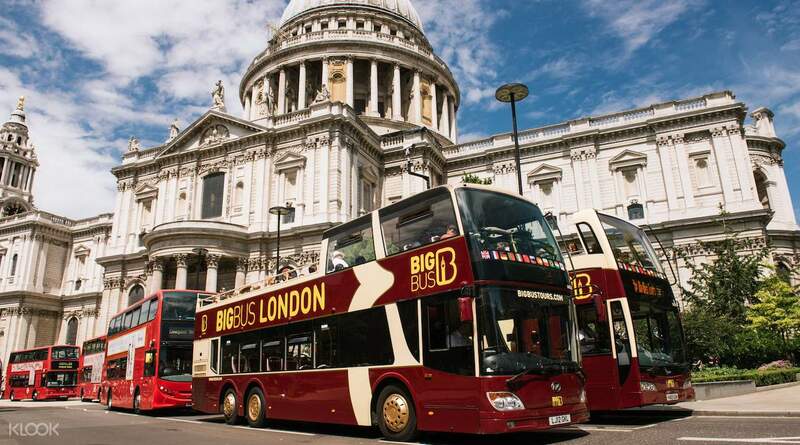 You can visit all the must see places in London bu riding this big bus. Will surely try again if there is a chance. Will surely recommend to friends and family. Great time and amazing experience. awesome service and view. the bus driver so friendly and the voucher reedemer is so easy. awesome service and view. the bus driver so friendly and the voucher reedemer is so easy. Booking was easy, location for pickup is easy, too bad the weather spoilt the experience. Maybe need to allow customer to postpone activity when it not convenient for them for free. Not sure if the option is available but worth look into ? Anyway im pretty sure it is fun when it is sunny or at least not raining. At least got to sit on the open deck above. Also it comew with river cruise which was good. Booking was easy, location for pickup is easy, too bad the weather spoilt the experience. Maybe need to allow customer to postpone activity when it not convenient for them for free. Not sure if the option is available but worth look into ? Anyway im pretty sure it is fun when it is sunny or at least not raining. At least got to sit on the open deck above. Also it comew with river cruise which was good. The bus went though the main sight seeing points, the pass including the cruises which was nice to see London eye, London bridge from the other view. The bus went though the main sight seeing points, the pass including the cruises which was nice to see London eye, London bridge from the other view. Good way to see London in short time. Easy way to get to all visiting places without any hassle looking for underground. It includes river cruise as well. Worth it. Good way to see London in short time. Easy way to get to all visiting places without any hassle looking for underground. It includes river cruise as well. Worth it. Hop on and off to get around the city for the most wonderful sights and prominent buildings. Easy to use and safe time travelling. Hop on and off to get around the city for the most wonderful sights and prominent buildings. Easy to use and safe time travelling. 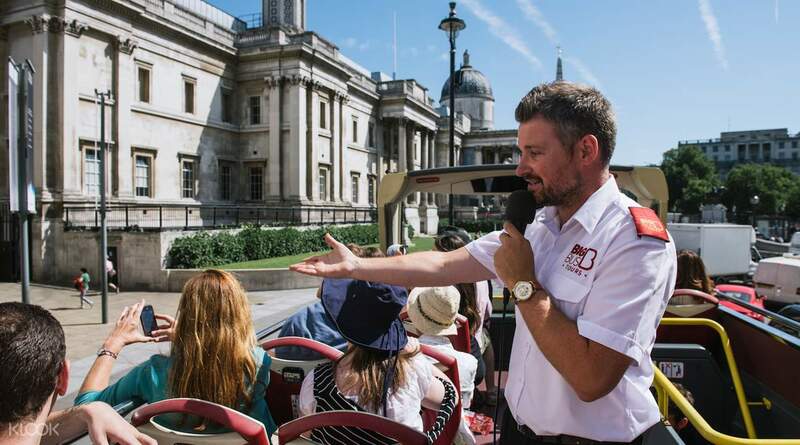 Hop on board an open-top bus with 360-degree views and explore all tourist attractions.. 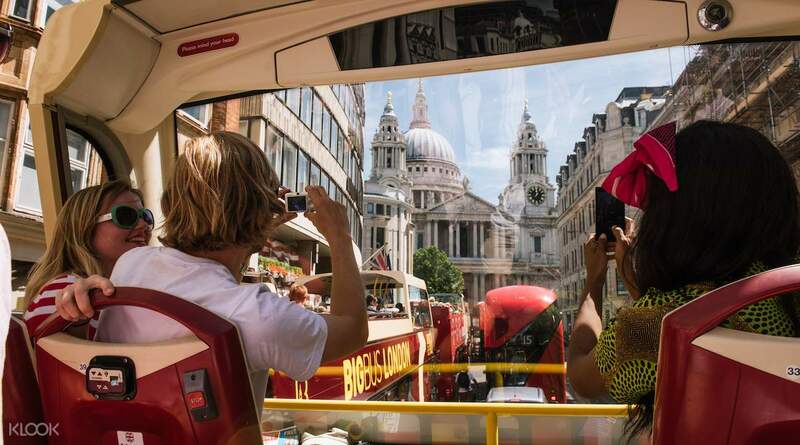 Hop on board an open-top bus with 360-degree views and explore all tourist attractions..